Among New York's most coveted reservations, Sushi Nakazawa currently stands at the top of the restaurant mountain. Here, an advanced strategy for getting a spot at its 10-seat bar. Among New York's most coveted reservations, Sushi Nakazawa currently stands at the top of the restaurant mountain. Several factors contribute. 1. Chef Daisuke Nakazawa starred in Jiro Dreams of Sushi, the beloved documentary about his octogenarian mentor Jiro Ono (proprietor of one of Tokyo's most revered sushi destinations). 2. The new West Village spot just secured a rare four stars from New York Times restaurant critic Pete Wells. 3. The best seats in the house are clearly facing Nakazawa at the bar, which has just ten seats. Those slots become available each night at 12:05 a.m., for a date 30 days ahead, through the online reservation service Seatme. If you plan to visit the site and try your luck, you'll be clicking in line with a city of sushi obsessives. The odds aren't great. I've never even attempted to get a Nakazawa reservation this way, and yet I have one. In fact, over the last week, I've had opportunities to take several openings. The secret is an alternate route into Seatme's reservation bank, using a process that sets you up to be notified when an existing reservation is canceled. The method requires some effort, though I'd contend that it's less trouble than spending night after night futilely chasing a reservation a month away. 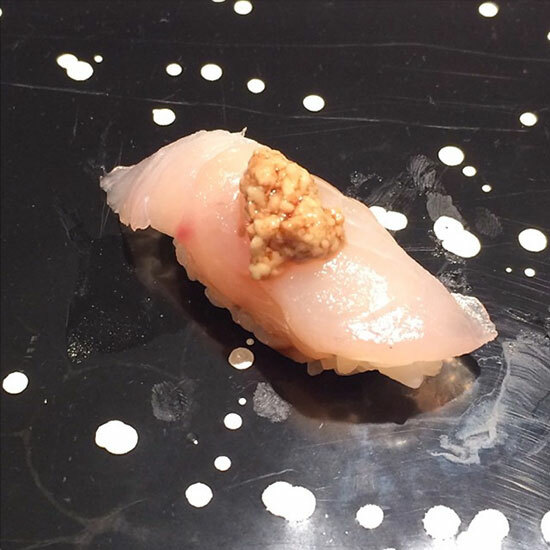 Here, three steps to getting a spot at Sushi Nakazawa. Tap fast. When someone cancels, you'll receive a text with a link to Seatme. The first person who clicks that link will have five minutes to complete a reservation, and all the other chumps will see a message saying that there are no seats available. Be ready to tap the link as soon as the message arrives. Even if you're fast, my experience suggests that it's difficult to be the first one in. But that's not the end of the story. Get the rebound. The final, most advanced strategy depends on understanding what happens when that five-minute clock ticks down to zero. If the first clicker fails to complete the reservation (which requires entering a credit card number, by the way), the time slot becomes available again. If you're aware that this will happen exactly five minutes after the text was sent, you'll be in a unique position to take the spot. Get to a computer with a fast connection, navigate to the slot you're trying for on Seatme and repeatedly refresh the page, beginning as you approach the five minute mark. If all goes well, you'll grab the reservation before Seatme sends out another text alerting who-knows-how-many reservation hounds that the spaces are available. Good luck. May your near future be filled with wriggling live shrimp and buttery yellowtail belly.